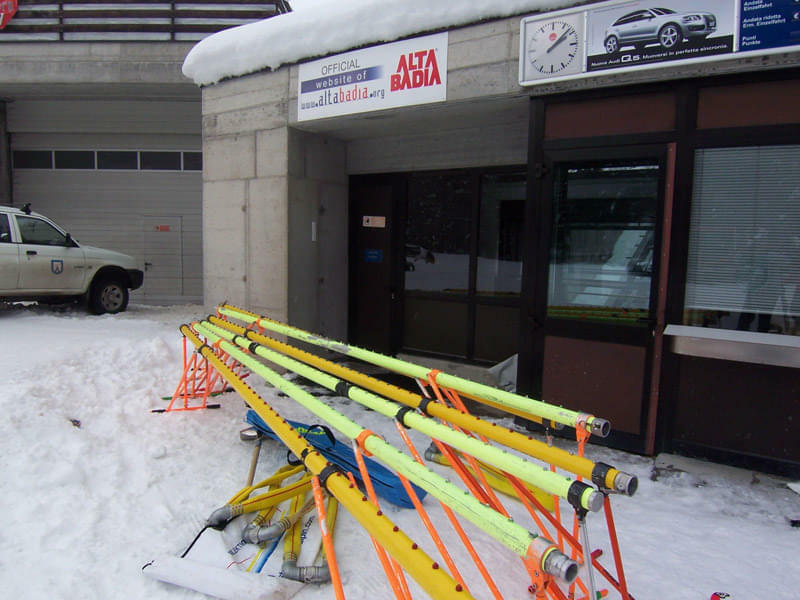 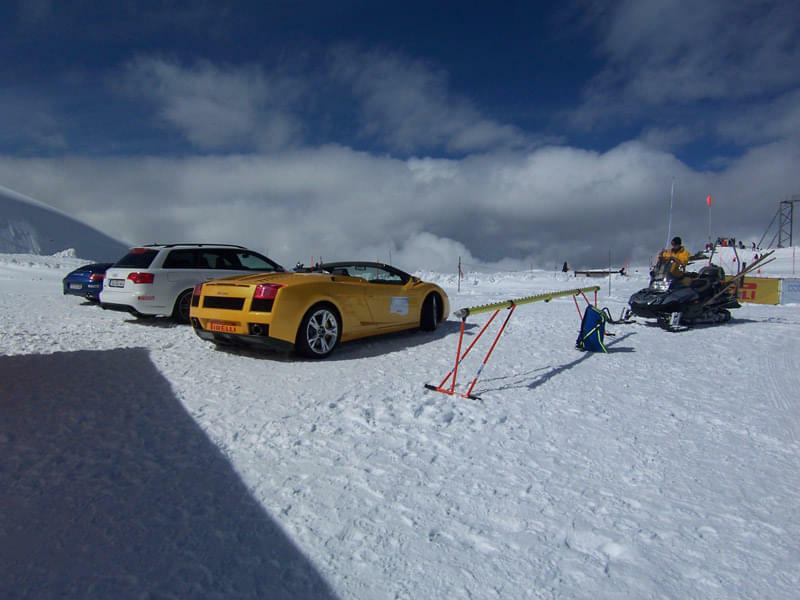 A system that does not shy away from comparison - a ski piste grooming system using injection bars for Alpine winter sport ski pistes and used successfully for many years. 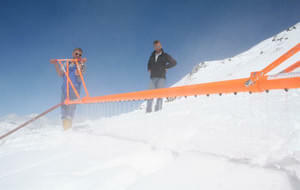 The injection bar system sprays water arbitrarity far below the snwopck, wherebly its active duration and water pressure precisely regulates the hardness of the ski piste. 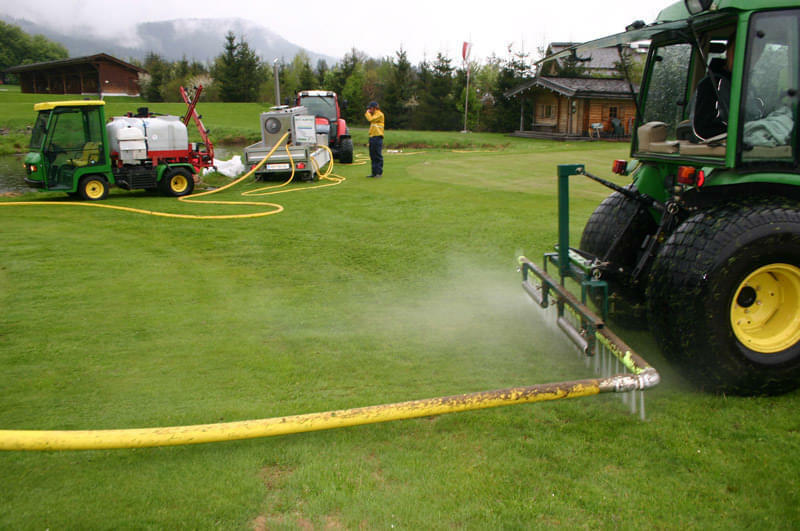 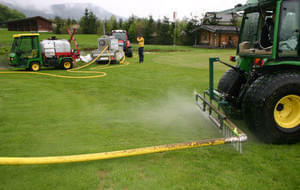 The surface layer of the ski piste remains largely dry, as the water is injected approx. 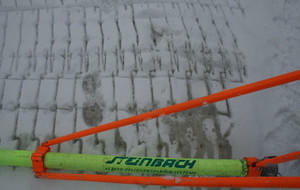 30 cm below the snowpack surface. 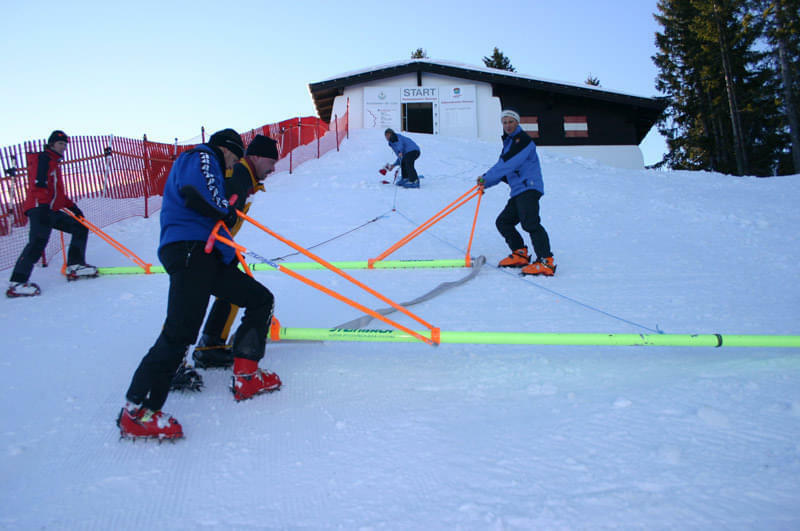 In contrast to surface irrigation that hardens the ski pilste, the injection bar system hardens the ski piste from below upwards, thereby retraining uniformity. 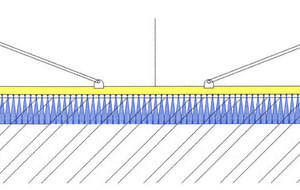 No further treatment is necessary, either pior or after the injection bar actuation. 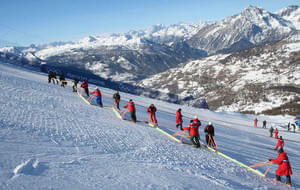 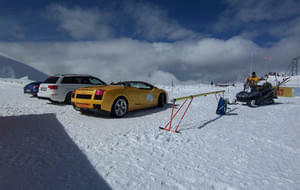 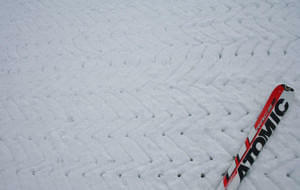 Consequently, the ski piste becomes restistant against mechanical stresses and temperture effects. 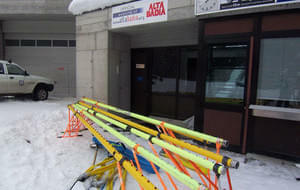 A hard ski piste may also be achieved through radiation at above-zero temperatures without teh need for chemical supplements. 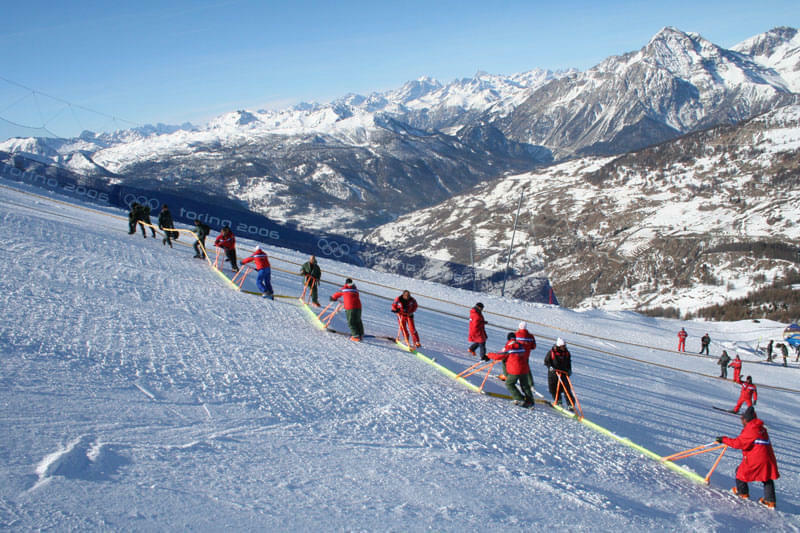 In order to achieve a ski piste that does justice to the requirements and demands of contemporary ski racing and use of carving skis or snowboards, the traditional method has irrigated the snowpack surface with water. 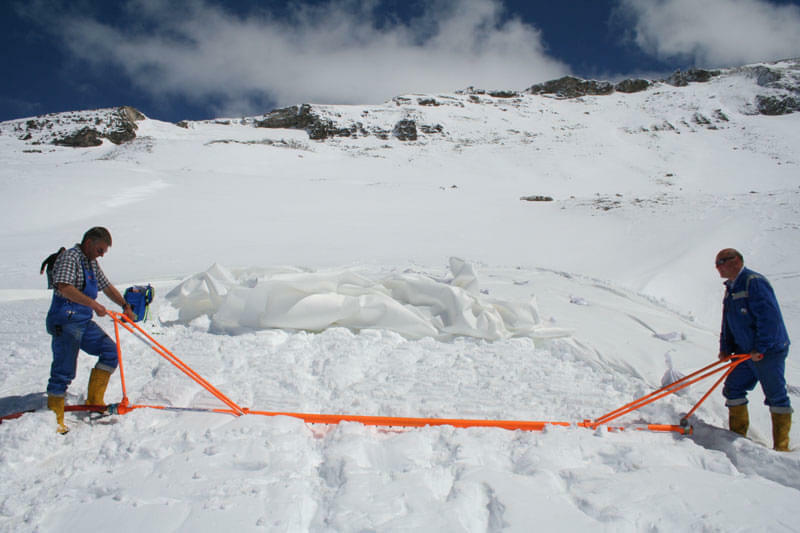 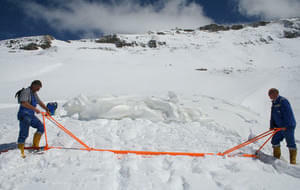 In this manner, the surface and largely unevenly distributed water seeps through the snowpack surface and then begins to freeze downwards. 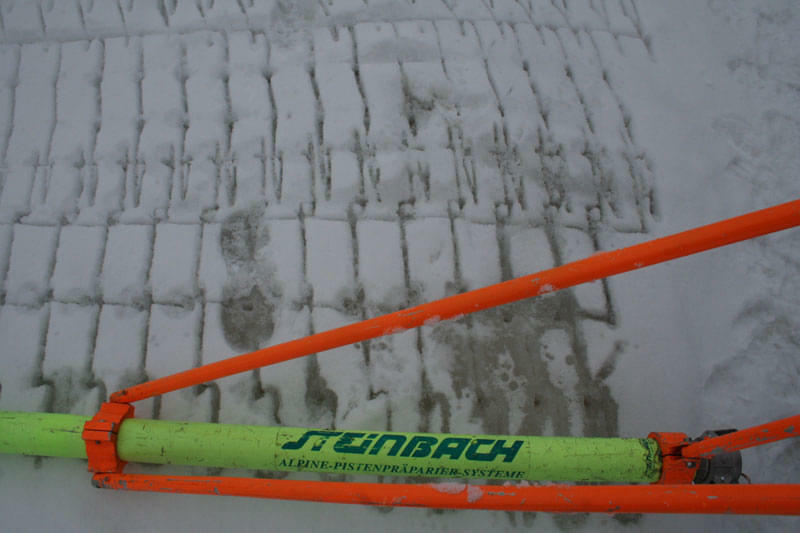 This results in an icy crust of limited thickness at best, that disintegrates easily.